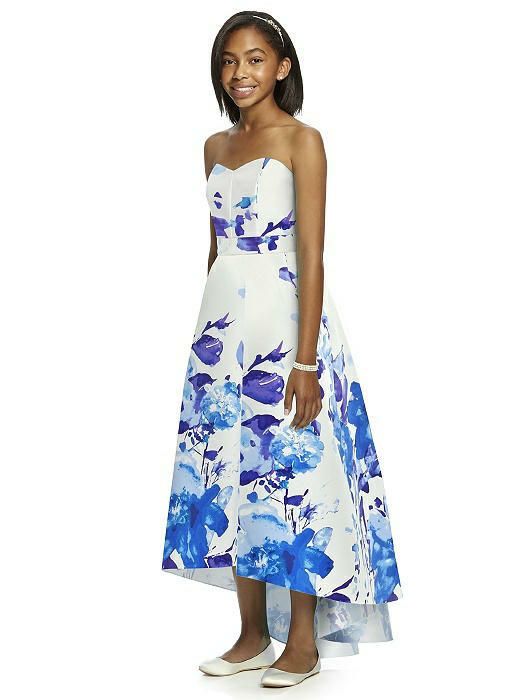 A spray of floral blooms sends a fresh message, making this full-length strapless sateen twill junior bridesmaid dress a perfect choice for a garden wedding. 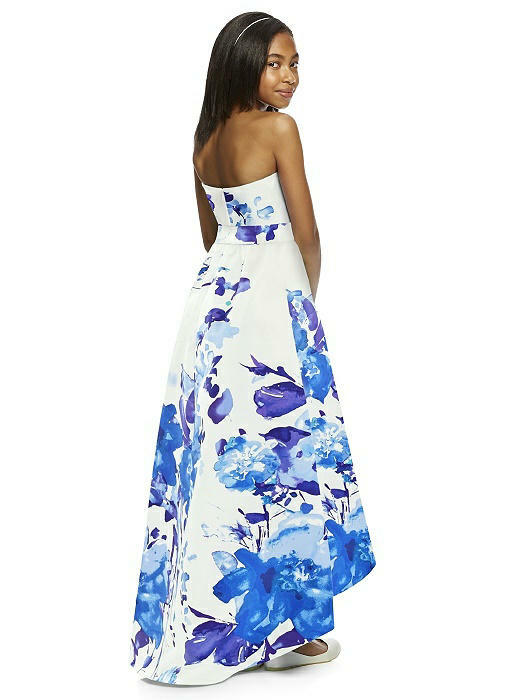 Indulge in the romance of a sweetheart neckline, a hi-low hem detail, and side pockets on its pleated skirt, and enjoy a self belt that matches its skirt. Available in all over blush bouquet or white bouquet print. Fit Tip: The natural waist and bust measurement take priority for style JR533FP. If you are over by an inch or two on the hip it is not a problem. There is plenty of extra room in the skirt to accommodate. If you would like help choosing your size, please contact a Dessy stylist.